A traditional industrial pocket of West Melbourne looks set to join the likes of Footscray and Fishermans Bend in receiving a high density repurposing. 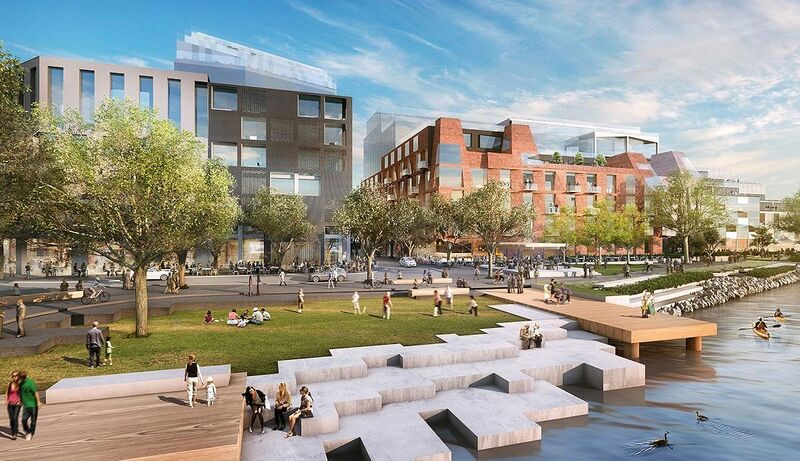 Developer Perri Projects is behind a scheme that would also look to overhaul the majority of West Melbourne's frontage to the Maribyrnong River. Spread over 2.8 hectares and directly opposite Footscray's Joseph Road Precinct urban renewal area, the site which is loosely addressed 150-250 Kensington Road West Melbourne is also bound by the Kensington Road rail bridge, Dynon Road and the aforementioned Maribyrnong River. The Dynon region was identified during 2015 as a new potential urban renewal area under the Melbourne Planning Scheme, with Perri Projects' Kensington Road Precinct site earmarked as one of four zones within Dynon that would be suitable for renewal. This has been made possible due to the rationalisation of rail and industrial activities within the area. Perri Projects have enlisted NH Architecture and Woods Bagot as architects for the project which is located 3.5 kilometres from the CBD. KPMG also forms part of the development team acting in an advisory role while Oculus have been installed as landscape architects. In its initial guise the project sees multiple mid-rise buildings with the tallest looking to exceed 15 levels and be situated at the northern tip of the site against existing rail lines. Multiple access paths and laneways also look to traverse the development with vehicular movements for the most located away from the riverfront. Ensuring new development along the Maribyrnong River and Moonee Ponds Creek enhances the recreational and environmental amenity of these waterway corridors and has appropriate setbacks. Enhancing open space and recreational opportunities along the Maribyrnong River and Moonee Ponds creek. Encouraging buildings fronting Dynon and Footscray Roads to have active and attractive frontages. 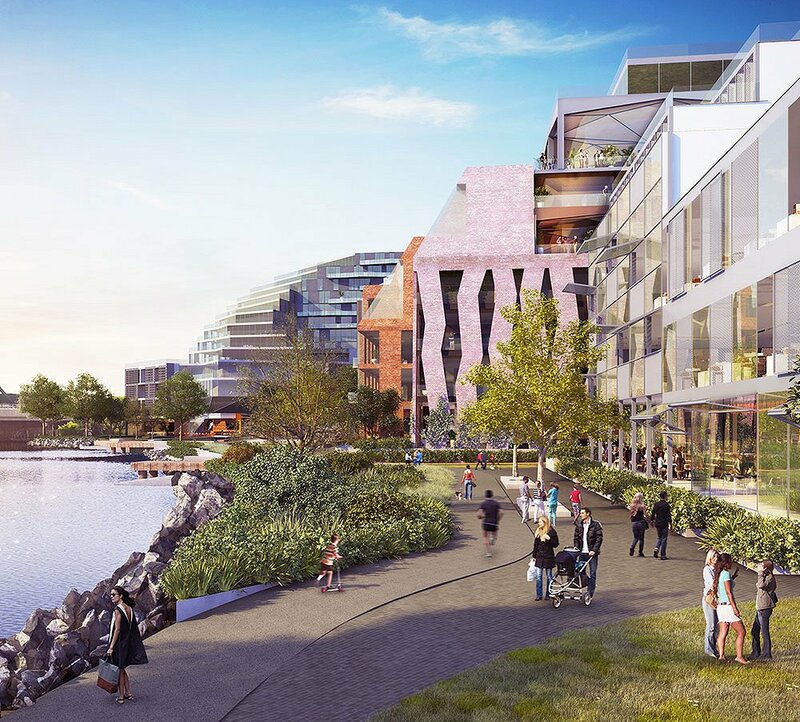 Project renders show a vastly different Maribyrnong River bank with extensive landscaping and recreational areas introduced by Oculus, superseding the current narrow bike path that runs along the river bank. The project may also see two docks introduced as part of the overhaul. For the time being a number of buildings on-site have been transformed with Perri Projects initiating the Shed 180 project. Australian and international street artists were utilised to transform various blank surfaces on-site into an outdoor art gallery. The artworks will remain until the site's mixed-use redevelopment is initiated.